The West End is a sophisticated, urban neighborhood located in the Northwest Quadrant of Washington, DC. The community is home to several major DC employers including the World Bank, International Monetary Fund and the National Wildlife Foundation. Several upscale hotels including the Ritz Carlton, Park Hyatt and the Fairmont are also located in the West End. The neighborhood boasts some of the finest luxury condo developments in the District including 22 West, 2501 Penn, the Columbia Condos and the Residences at the Ritz Carlton. Read more about West End real estate. The West End is bordered by K Street on the south and New Hampshire Avenue to the east. Nearby Rock Creek Park offers serene walking and jogging paths just minutes away from DC's power brokers. The Kennedy Center and The White House are also located very close to the West End. 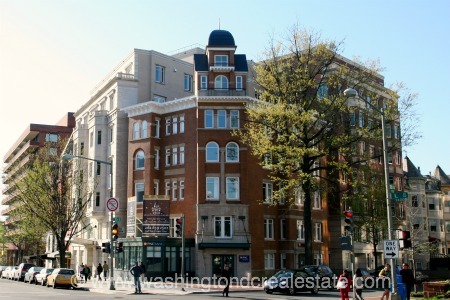 Residents of the West End can walk to Downtown or take the Metro from the nearby Foggy Bottom Station. The West End also offers convenient highway access for commuting to major employers in Virginia and Maryland.